"Your character Booker’s trip to Columbia is in the interest of retrieving a girl, Elizabeth, from captivity. It’s imperative that you find her so that you can clear a pile of debts, but it’s increasingly clear as your time in columbia continues that this isn’t a simple hero's tale. Elizabeth has the power to control “tears in reality" that are popping up all over the city." "It’s an adult, thoughtful and compelling work that shames many (if not most) other attempts in the medium. 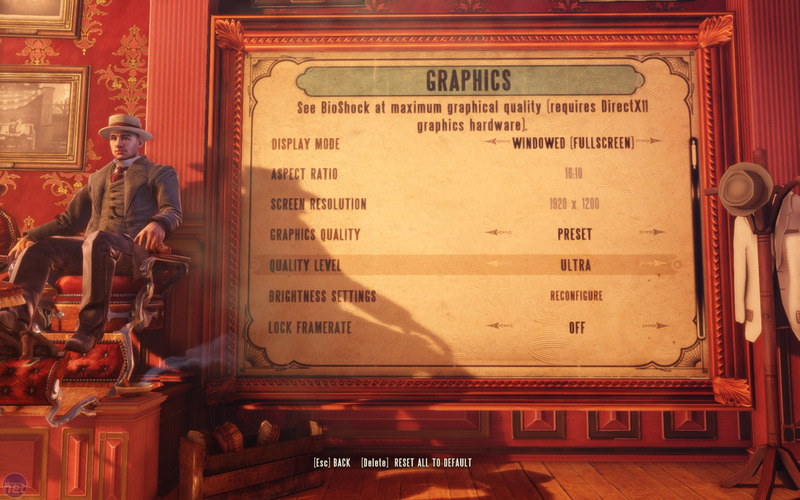 Bioshock Infinite is an incredibly good video game. It might be one of the best. We use the handy in-built benchmarking tool to run a timedemo from two sections near the start of the game. However, we've found the game-generated results to be unreliable, so use FRAPS to record the frame rate over a 40 second sequence of gameplay during the second test. The results taken are an average of three repeated tests.